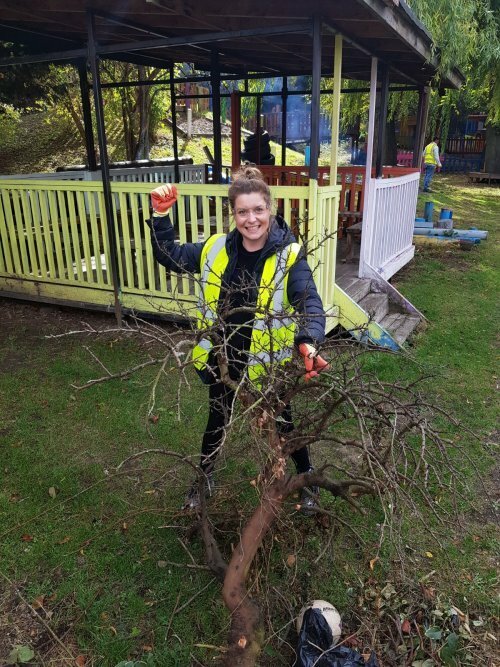 We are delighted to be supported by Winkworth as their chosen Charity of the Year. 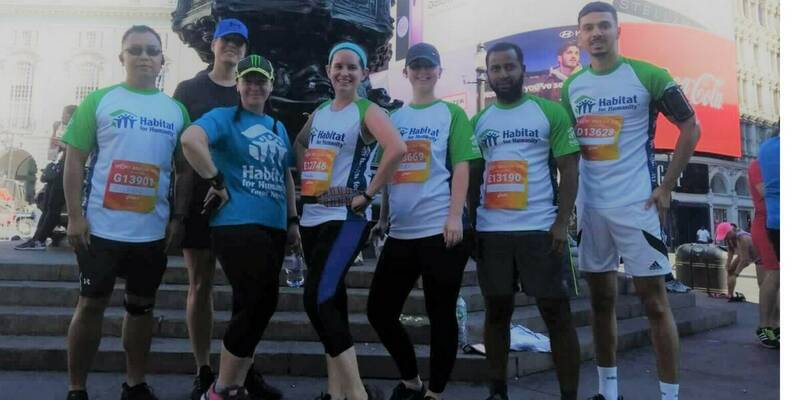 Winkworth plan to raise as much as they can for Habitat for Humanity with staff joining together to take part in challenge events and fundraising activities. 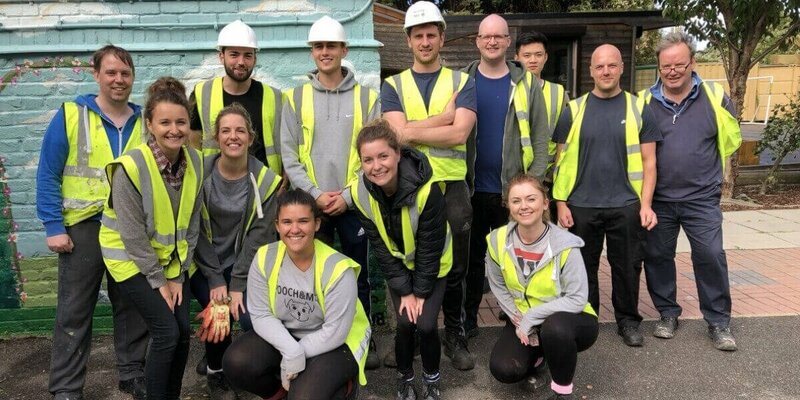 We are delighted to be supported by Winkworth who have pledged to raise the maximum amount of funds that they can in 2018 to help tackle housing poverty around the world. 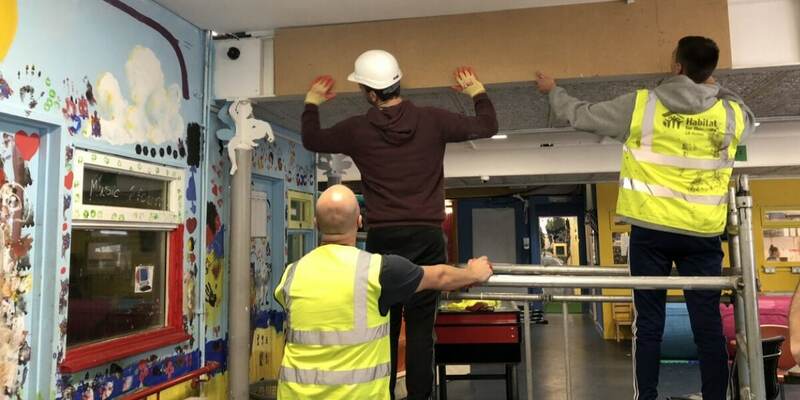 To raise funds they will take part in both physical events and office based activities. 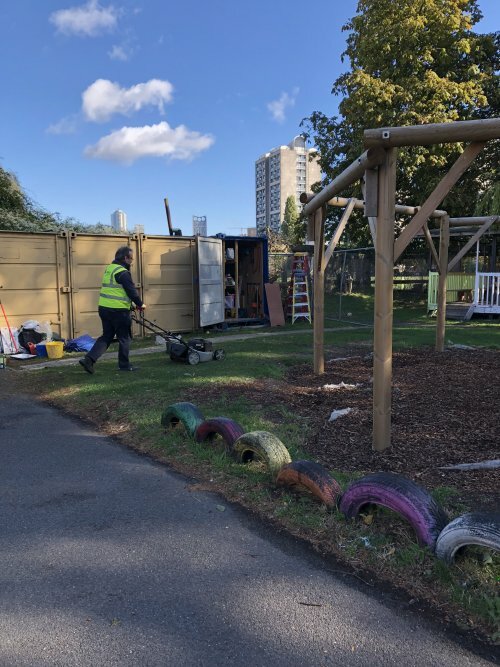 By supporting our work at large, Winkworth are enabling us to respond with agility and flexibility to the housing crisis. 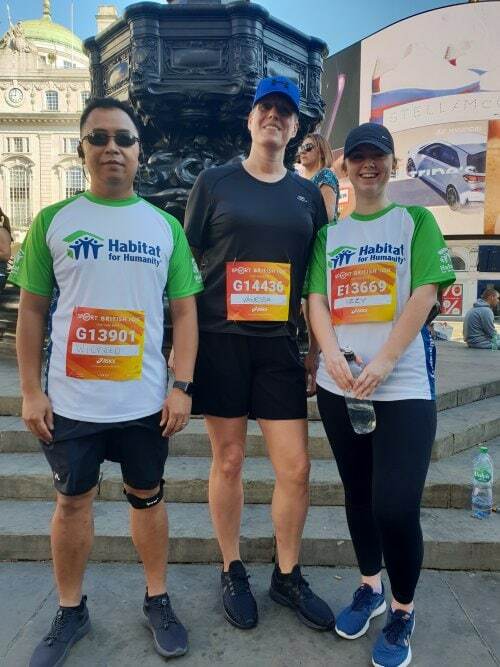 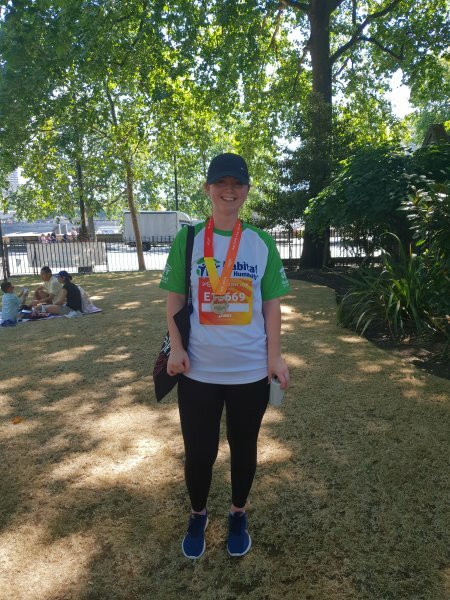 Winkworth have organised various fundraising activities such a quiz night that Habitat for Humanity were delighted to attend, a World Cup Sweepstake and in the Summer, three employees fundraised for and completed the British Virgin 10KM in very hot conditions. 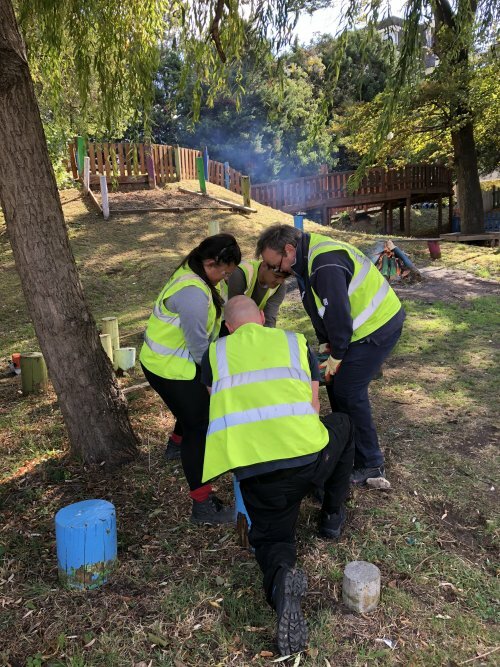 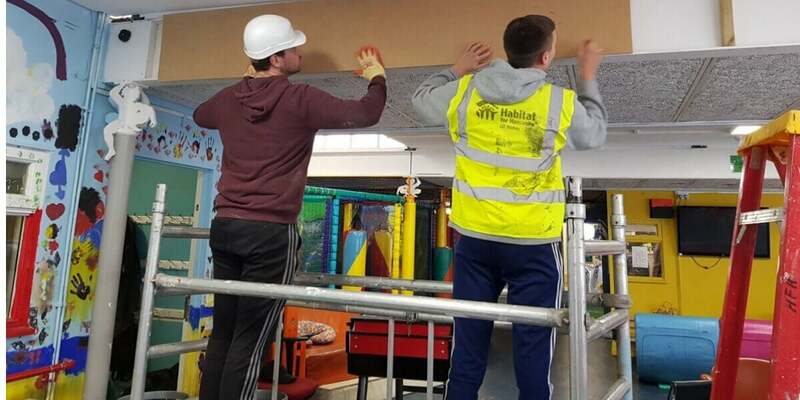 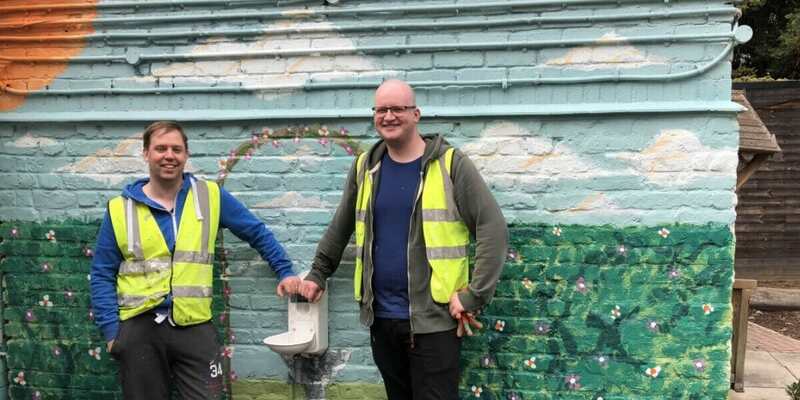 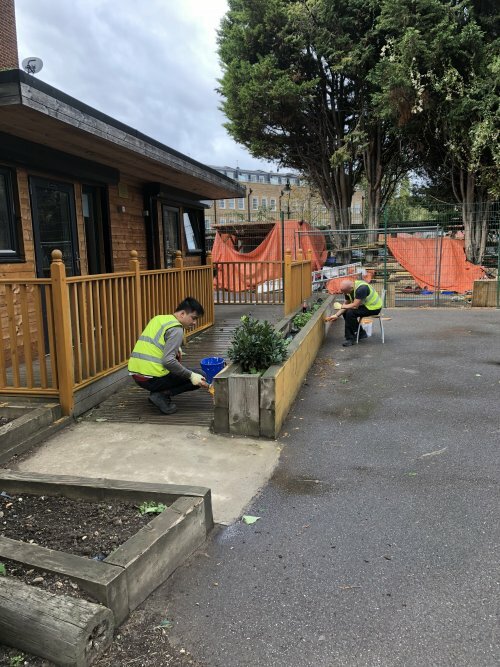 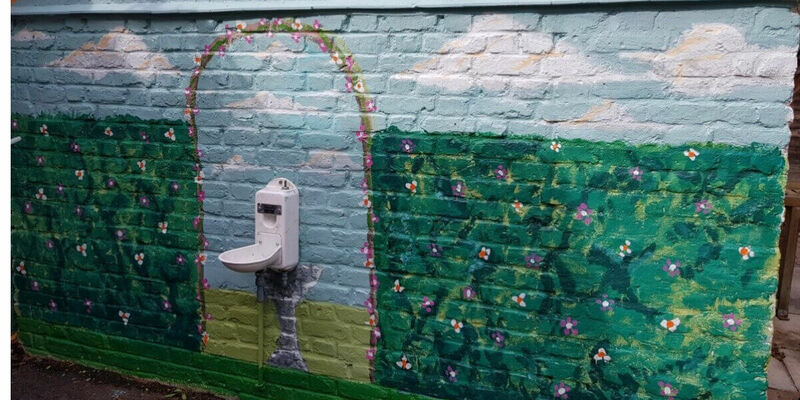 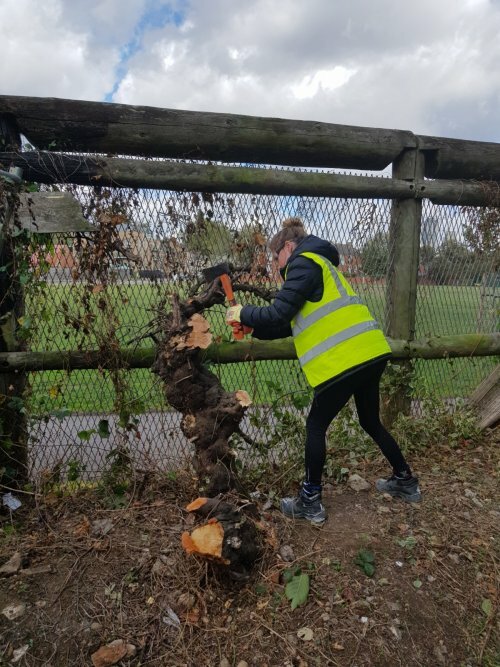 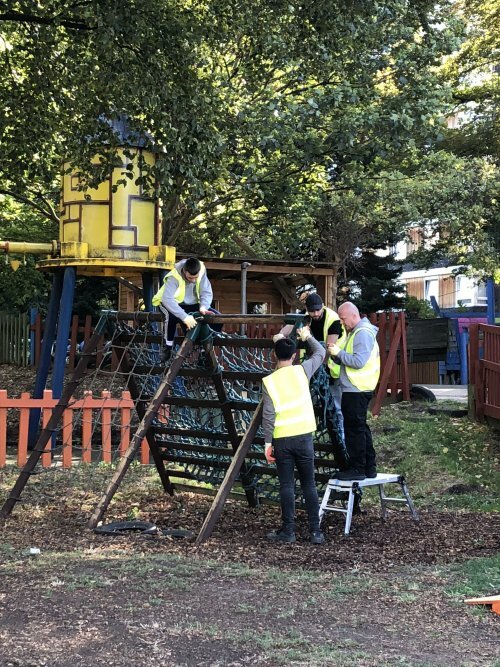 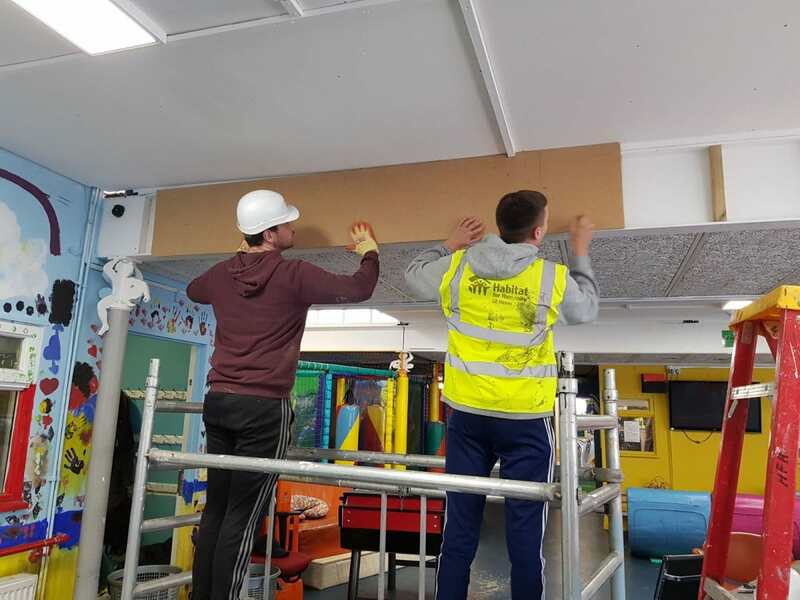 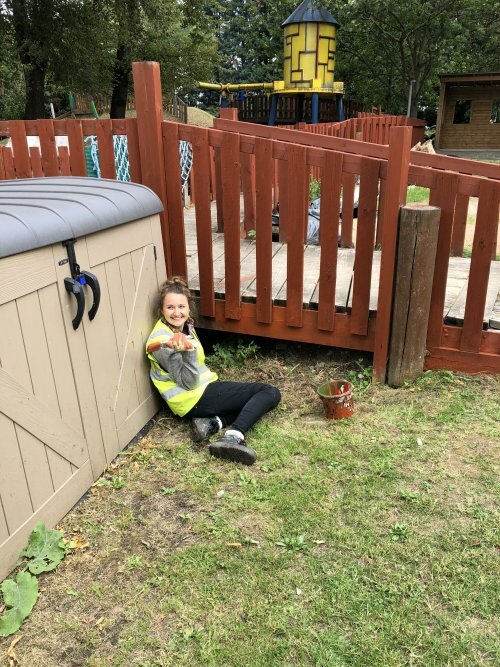 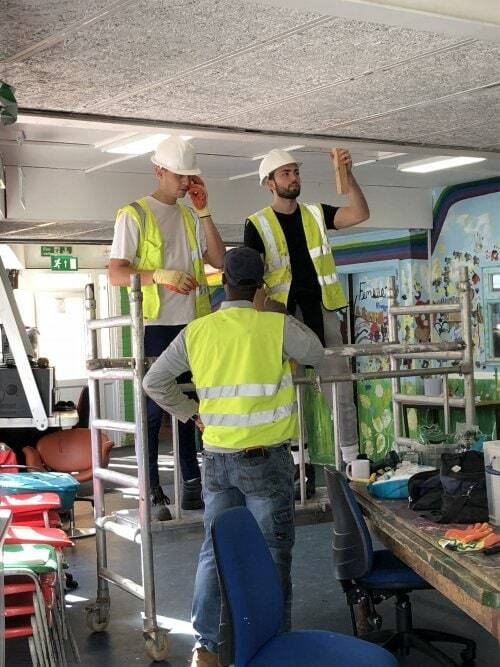 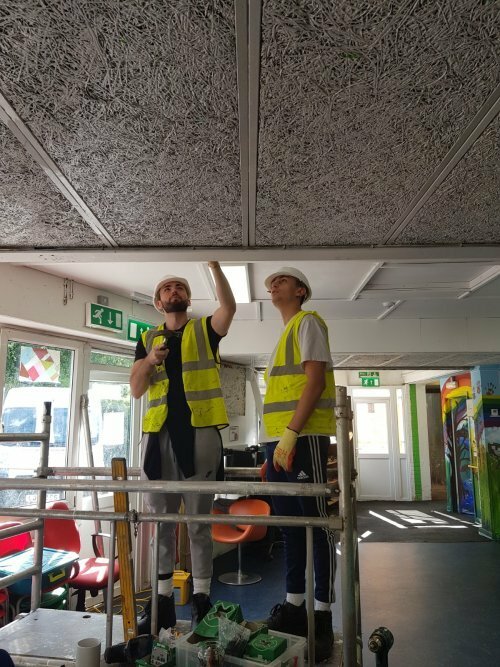 Recently a team volunteered at the Charlie Chaplin Adventure Playground, taking part in painting and freshening up of the external communal spaces, mowing the lawn, taking down a climbing frame to prepare for a new one to be built, boxing in frameworks indoors, chopping down trees and two graphic designers painted a lovely mural on one wall for the children to enjoy.